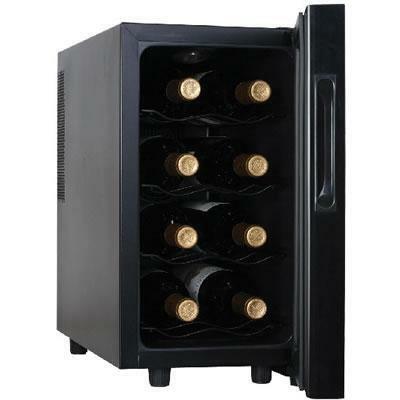 This 8-bottle capacity wine cellar is perfect for keeping just a few bottles of your favorite red or white wine on hand. 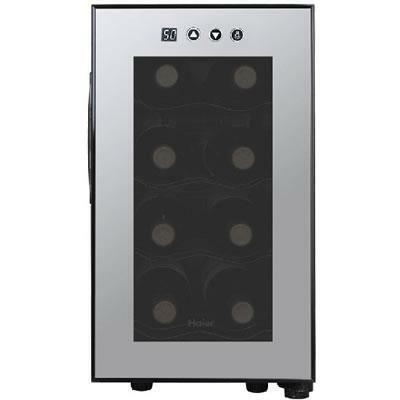 This unit features an electronic temperature control with LED display, and a double pane insulated glass door to further protect your wine from the outside environment. 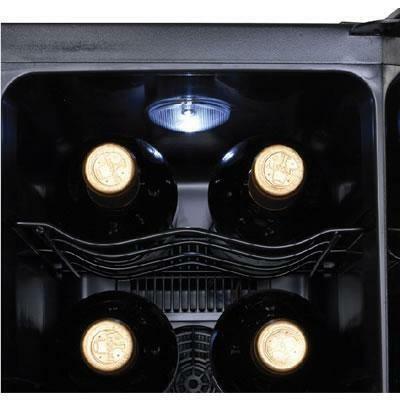 Four full-width chrome racks store your bottles in style, while a thermoelectric cooling system provides a vibration-free environment. 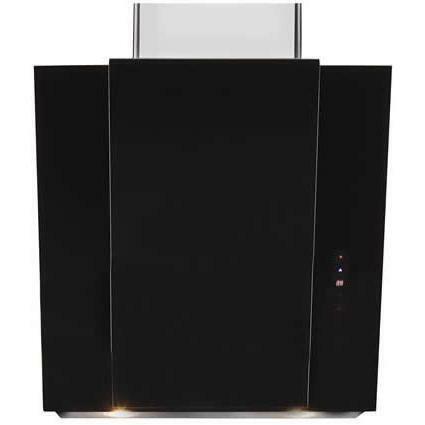 Its small size makes this model a perfect fit for your countertop. Additional Information Rear ventilation. Temperature Setting Range Zone 1 46-64 °F. Thermoelectric Cooling Method. 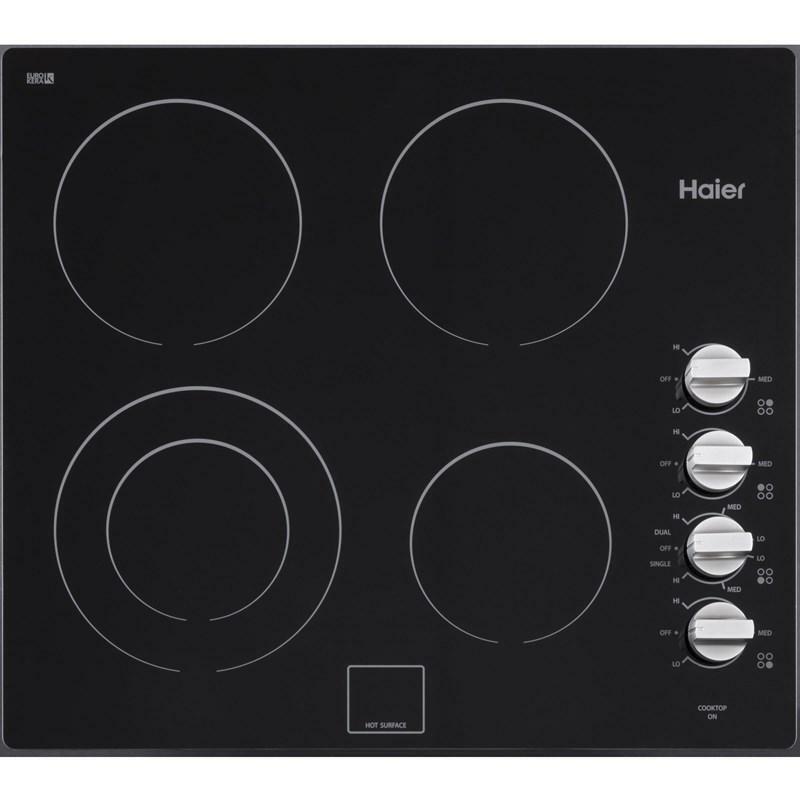 Electronic Touchscreen temperature control. Blue LED display. Double Pane Insulated door. Chrome Wavy Wire Storage racks. ETL safety approval. 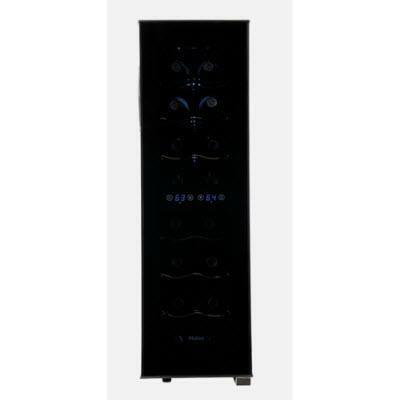 Haier 18-bottle capacity wine cellar featuring thermoelectric cooling, soft interior light and a LED electronic control display.